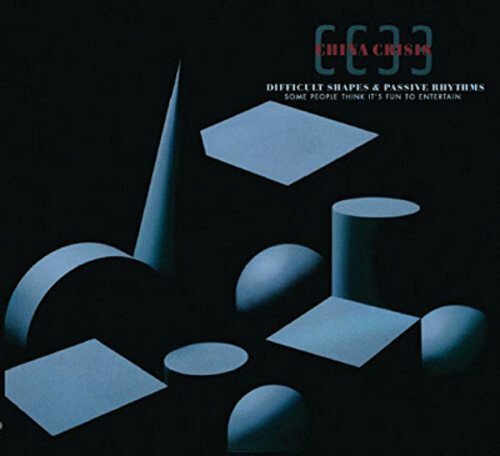 Discussions Magazine Music Blog: CHINA CRISIS' Deluxe CD Editions reviewed! CHINA CRISIS' Deluxe CD Editions reviewed! 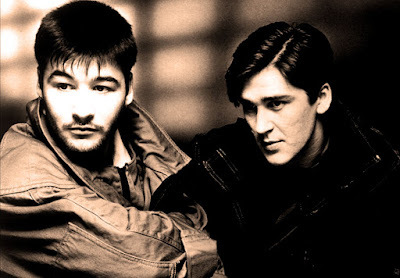 Although China Crisis may not have made a huge dent in the American charts, this Liverpool-based outfit managed to record a series of wonderful albums and singles throughout the ‘80s and beyond. However, that is not really surprising since Liverpool is a city known for it’s rich musical heritage. Best known as The Beatles’ home town, Liverpool was a breeding ground for many great acts during the late ‘70s and early ‘80s including Deaf School, Yachts, The Icicle Works, OMD, A Flock Of Seagulls, The Wild Swans, Original Mirrors, The Lotus Eaters, The Teardrop Explodes, Frankie Goes To Hollywood, It’s Immaterial, Echo & The Bunnymen and the many different variations of Wah! (featuring Pete Wylie). And that’s just the tip of the iceberg! I’m sure anyone reading this can list off a few dozen other bands from the era! And like their Liverpudlian contemporaries, China Crisis was – and is - an utterly unique band. From experimental instrumentals to glorious Pop hits, this is a band that has never been afraid to forge their own path. While they have only released seven studio releases during their 35+ year existence, every one of them has been a worthy addition to their catalog. However, the band’s ongoing success was built upon the musical foundation they laid out with their first three albums: DIFFICULT SHAPES & PASSIVE RHYTHMS SOME PEOPLE THINK IT’S FUN TO ENTERTAIN (1982), WORKING WITH FIRE AND STEEL – POSSIBLE POP SONGS VOLUME TWO (1983) and FLAUNT THE IMPERFECTION (1985). 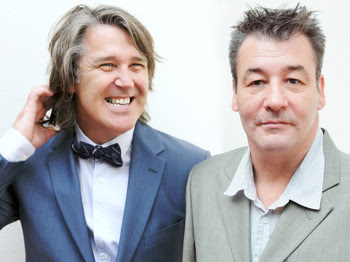 In just a few short years, China Crisis – led by Gary Daly (vocals/keyboards) and Eddie Lundon (vocals/guitars) – rose from their experimental Synthpop beginnings to become one of the UK’s most sophisticated Pop makers. Celebrating their 35th Anniversary as recording artists, these first three albums have been given the expanded Deluxe Edition treatment and now sound better than ever. The additional material on the bonus CDs fills in all the blanks and gives the listener a much more detailed look into this band’s phenomenal back catalog. Instead of sticking with Howlett and following their second album with ‘more of the same,’ China Crisis chose then-former Steely Dan member Walter Becker as producer and changed their musical course. 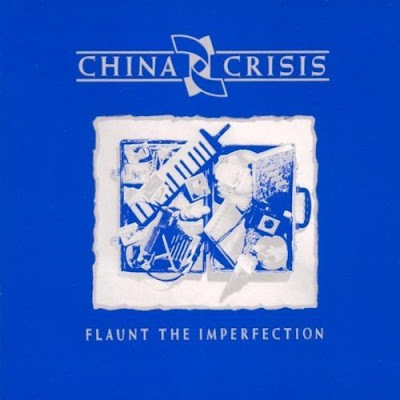 FLAUNT THE IMPERFECTION was an album that abandoned the band’s Synthpop beginnings and introduced a sophisticated Pop sound that was not dissimilar to Becker’s former band. The band’s heavenly melodies and tight arrangements plus Becker’s smooth production equaled Pop perfection. “Black Man Ray,” “You Did Cut Me,” “King In A Catholic Style” and “The Highest High” remain some of the band’s finest songs. In all actuality, the album itself is one of the ‘80s finest full-length releases. First and foremost a Pop outfit, the album’s slick Jazz feel is obviously the influence of Becker. In fact, he was such an integral part of the recording process that he is listed as a band member in the album’s credits. On the surface, they Steely Dan influence is the first thing you may notice, but peel away the layers and immerse yourself in the songs themselves and you will discover that Daly and Lundon are in a league of their own. This 2CD edition adds rarities including demos, non-album tracks and BBC Radio sessions. Most definitely their masterpiece. FLAUNT THE IMPERFECTION is Pop perfection regardless of the album’s title! 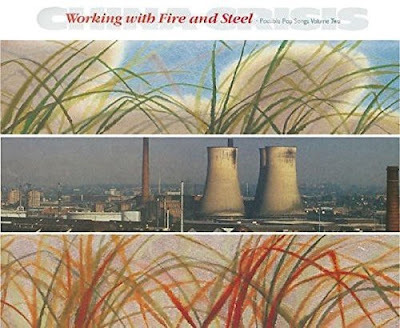 NOTE: China Crisis worked with Becker again on 1989’s DIARY OF A HOLLOW HORSE (expanded 2CD edition available on Cherry Red Records) although it wasn’t as commercially successful as FLAUNT… Daly and Lundon have kept the China Crisis name alive and continue to tour. Their 2015 album AUTUMN IN THE NEIGHBORHOOD was not only their best album since FLAUNT…, it was also one of the best albums of that year. Not bad for a band three and a half decades deep into their career!